Radio access network (RAN) centralized processing and cell densification have been promising research and development focuses on the fifth generation (5G) network. The required centralized processing and complexity of an ultra-dense network can be effectively managed with the aids of cloud RAN (C-RAN). The focus on the C-RAN is due to its significant benefits concerning cost-effectiveness and performance optimization. However, the C-RAN mobile fronthaul (MFH) demands transport networks with very low-latency and very high-throughput. These requirements for the 5G use cases and deployment scenarios are stringent and uneconomical in the real-life scenarios. These growing requirements can be effectively lessened with the RAN functional split option (FunStiOn) techniques. This paper offers a comprehensive overview of the traditional C-RAN MFH and considers some viable RAN FunStiOn techniques that can help in relaxing the stringent requirements. The related trade-offs of the considered RAN FunStiOns are also presented. In addition, we offer and discuss a number of relevant cost-effective architectural variants that can relatively simplify the DU designs with low-footprints. The presented architectural variants can be employed to support different use cases of the emerging 5G networks depending on the deployment scenarios. This work is supported by the European Regional Development Fund (FEDER), through the Regional Operational Programme of Lisbon (POR LISBOA 2020) and the Competitiveness and Internationalization Operational Programme (COMPETE 2020) of the Portugal 2020 framework, Project 5G (POCI-01-0247-FEDER-024539), ORCIP (CENTRO-01-0145-FEDER-022141) and SOCA (CENTRO-01-0145-FEDER-000010). Lien, S., Hung, S., Hsu, H., & Chen, K. (2016). Collaborative radio access of heterogeneous cloud radio access networks and edge computing networks. In 2016 IEEE international conference on communications workshops (ICC) (pp. 193–199). https://doi.org/10.1109/ICCW.2016.7503787. Alimi, I., Shahpari, A., Sousa, A., Ferreira, R., Monteiro, P., & Teixeira, A. (2017). Challenges and opportunities of optical wireless communication technologies. In P. Pinho P (Ed. ), Optical communication technology, chap 2. Rijeka: IntechOpen. https://doi.org/10.5772/intechopen.69113. Jinghui, G., & Jian, L. (2017). Evolution trends of 5G microwave backhaul transmission. http://wwwen.zte.com.cn/endata/magazine/ztetechnologies/2017/no6/articles/201711/t20171116_466193.html. Accessed Feb 2018. Alimi, I. A., Monteiro, P. P., & Teixeira, A. L. (2017). 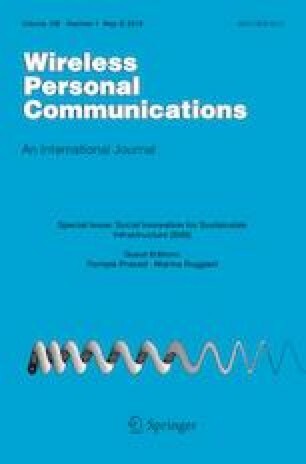 Analysis of multiuser mixed RF/FSO relay networks for performance improvements in cloud computing-based radio access networks (CC-RANs). Optics Communications, 402, 653–661. https://doi.org/10.1016/j.optcom.2017.06.097. http://www.sciencedirect.com/science/article/pii/S0030401817305734. Jenssen, J. (2018). Broadband Anyhaul. http://www.mobilagenda.no/wp-content/uploads/5_Jorn-Jensen-Nokia-Broadband-Anyhaul.pdf. Accessed Aug 2018. NGMN Alliance. (2018). NGMN overview on 5G RAN functional decomposition. https://www.ngmn.org/fileadmin/ngmn/content/downloads/Technical/2018/180226_NGMN_RANFSX_D1_V20_Final.pdf. Accessed July 2018. 3GPP R3-161813. (2016). Transport requirement for CU&DU functional splits options. https://portal.3gpp.org/ngppapp/CreateTdoc.aspx?mode=view&contributionId=723384. Accessed Jan 2018. 3GPP-WG3 R3-162102. (2016). CU-DU split: Refinement for Annex A (Transport network and RAN internal functional split). http://www.3gpp.org/DynaReport/TDocExMtg--R3-93b--31676.htm. Accessed Aug 2017. SCF-159 R7. (2016). Small cell virtualization functional splits and use cases. http://scf.io/en/documents/159_-_Small_Cell_Virtualization_Functional_Splits_and_Use_Cases.php. Accessed Feb 2018. 3GPP TR38.816 V15.0.0. (2017). Study on CU-DU lower layer split for NR. https://portal.3gpp.org/desktopmodules/Specifications/SpecificationDetails.aspx?specificationId=3364. Accessed Aug 2018. TransPacket. (2018). 5G Ethernet X-Haul. http://elektronikknett.no/Whitepapers/5G-Ethernet-X-Haul. Accessed Sept 2018.